How would you discuss Communion with a youth? Rev. Alice Cates serves as the Minister to Youth at Chester Baptist Church in Chester, VA (just south of Richmond). She earned her Master of Divinity degree from the Baptist Theological Seminary at Richmond, her Master’s in Social Work from Virginia Commonwealth University, her undergraduate degree in Theatre Arts from Campbell University, and was ordained to Christian Ministry at Biltmore Baptist Church in Glen Allen, VA. Alice greatly enjoys laughing out loud, preaching, Howie (the greatest nephew in the world), sunny days in the park, wrangling her bloodthirsty housecat Henrietta, and Netflixing. Always Netflixing. There’s something about coming together at the supper table- the eating, the drinking and the remembering that happens there- that is intrinsically unifying; the essence of kinship. And I think maybe Jesus did too. Because on the night that he was going to be betrayed by one of his best pals, Jesus invited his closest friends to share a meal together. We know that at that meal there were some serious discussions and hard conversations. But I imagine that there were also moments of laughter, and telling of familiar stories, and unpacking of the day’s events. And so his disciples ate the bread that Jesus offered and they drank from his cup. They didn’t fully understand what Jesus meant, but they trusted him: their friend and their leader. Jesus invited his friends to the table for a meal. He invited them to eat and to drink and to remember. But his invitation wasn’t only for those that he brought together that night. Indeed, his invitation is to all of us. Then and now and tomorrow and the day after that, Jesus’ invitation is open to all who would come to eat and to drink and to remember. And it is in this coming together that (like the bread that we eat) we become the body of Christ: our authentic selves with humor and love, imperfections and brokenness, asking God to help us to remember. Asking God to break us further of our selfishness, of our pride, of our judgments and our self-loathing, and our destructive behaviors. And we eat and we drink and we remember. We tell stories and we laugh and we share and serve and heal and cry and mend and welcome all who would join us. The body of Christ, sharing in the body the Christ. So dear students and parents and peers and friends, this is communion: eating, drinking, and remembering. Let all who claim Jesus, let all who seek to know him, let all who are curious, let all who are desperate for kinship and acceptance and grace, come, eat, drink and remember. 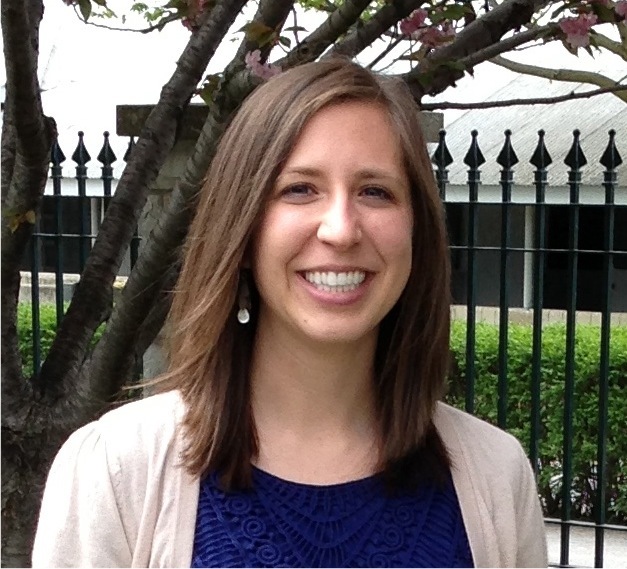 Laura Edgar is the former Minister to Youth at Woodmont Baptist Church in Nashville, Tennessee. She graduated from Auburn University and is currently working on her Master of Divinity at Baptist Seminary of Kentucky. Communion is great because we get food during church! Whoever collects the most little cups after church is over wins! Okay so maybe these aren’t the best ways to approach communion with youth. Depending on the traditions of our churches our youth may experience communion on a weekly basis or as little as twice a year. Wherever we are in that range of practice, dialogue about the significance and implications of communion is important. First of all, we call communion an act of remembrance, a memory meal. It is not just a memory in the way we normally think of memory- recalling facts about something. We share the story and participate in the ritual, and by doing so we become part of the story and the identity of Christ. Have students read familiar passages about communion like Mark 14:12-26 and 1 Corinthians 11:17-32. Discuss what the disciples must have thought about Jesus calling the bread and wine his body and blood. Discuss why Paul gave the instructions he did about communion. There are so many themes that communion brings to our attention. One important one that may resonate with youth is the idea of gathering and scattering. The Lord’s Supper involves us being gathered together- it calls us together at the table. But we don’t stay there. We are to go out and BE the body of Christ. The Lord’s Supper is in itself a “sending” out. God took human flesh, blessed it, and broke it in sacrifice in order that he might give it to us; in a parallel way, through Jesus, God takes us, blesses us with the Spirit, and breaks us to be given for the world. When we gather for a meal what happens after the meal? (We leave). In the same way, we scatter after this meal. We go back to all the places we came from, and we encounter different people and different situations. Something about participating in this meal shapes who we are and how we approach all that we will face out there. Participating in communion is participating in the past, present, and future. As a past event, it marks something that happened. Jesus did this. Jesus participated in this meal, and we do it because he did. In the present this is something we do NOW. We participate in this meal, participate in the body of Christ, take on our identity as Christians, as Christ followers. We share the kingdom of God on earth. Looking to the future, Christ says he won’t drink of the cup again until he’s with the Father. In one way, his resurrection was that- he’s alive, he’s with God, he is Lord. Additionally, we look forward to the day when God gathers all of God’s children to share a meal together. If possible share communion together within your youth group. Students will have the opportunity to process what they’ve heard about the Lord’s Supper and begin to internalize it. Most of the time when we observe communion in church we don’t take time to talk about it afterwards. By sharing communion with your youth group, students have the opportunity to ask questions and make observations. Communion has been a formative part of my growing relationship with Jesus in recent years. Though I grew up Baptist, I married a lifelong independent Christian and served as a youth pastor in a Disciples of Christ church. This kind of exposure to a couple strains of the Restoration movement—a tradition which emphasizes weekly celebration of the Lord’s Supper—helped me to really appreciate and embrace the power of this observance. So I enjoy talking about communion with students, and of course there are a variety of ways you can approach discussing it with them. Even if I’m only mentioning the Lord’s Supper in passing, the one aspect that I try to emphasize over and over is the phrase, “an outward and visible sign of an inward and spiritual reality.” I want my youth to understand that it is a testimony of the transformation that has already happened inside them. In the symbolism of crucifixion, it is affirming the cornerstone of our belief in Jesus but also pointing to the resurrection we believe is in store for us and all of creation in the future. But some of the power of discussing communion is simply asking the question, “What makes this special to you?” I love to hear how students process their own experience of it. I think it gives us a unique opportunity to engage their minds and creativity and imagination in a way that is grounded in the rich tradition of Christian history. But it is also important because it touches both the communal act of worship and personal self-reflection in a way we don’t normally get to do. Certainly we can provide guidance, but ultimately it puts the impetus on the teenager to get something meaningful out of it. But recently when I was teaching about communion to our youth, I focused on the way it works to form our sense of identity. In a world where our students are so often defined by who they eat lunch with at school, what they look like, what sports they play, how many retweets or Instagram likes they accumulate, or even the celebrity culture that embraces shock and vulgarity, I desperately want them to know this is not who they are; none of this defines them. It is in these moments that I want to invite them to the communion table, into the beautiful, collective experience of worship that binds us together as a community, a celebration that moves us as followers of Jesus toward lives lived with sacrifice, remembrance, thankfulness, witness, and selflessness. We proclaim together in the Lord’s Supper the truth that death leads to life, and join as partners with God to bring resurrection and light to the dark places all around us. Thank you so much Alice Cates, Laura Edgar and Tim Schindler for sharing your individual experiences and knowledge on this subject. I love how God has given you all your own unique testimony of how and what ‘Communion’ means to you in relation to what you’ve witnessed in the lives of young people and their perception and concepts of what Communion really means to them. I thank God for His sense of adventure, fun & creativeness in each of your explainations and the importance of not only staying true to God’s Word, but ensuring young people are able to relate and apply their understanding into their every day lives. My husband Gavin and I have recently volunteered to become part of our church youth leaders team. Neither of us have a ‘theologian’ background although I’m beginning to suspect that my hubby of 3yrs has been storing up biblical knowledge from ‘back in the day’ when he wasn’t allowed to be a Christian (long but beautiful story!! )… We both share a love to work with and alongside our adorable youth which is slowly expanding as more local youngsters begin to visit our church!! My background is 30yrs working in children’s homes with 11-18yr olds who for various reasons can’t or who are unable to live with their parents. My husband’s background is he is a lovely father to two fantastic children who live with their mother & her partner. A son who turned 18 last year December and a daughter who turned 16 January this year and she has high functioning autism and adhd bless her! Hubby’s background is of electronic design engineer so he’s one of those ‘techi’ inventor-type guys and I’m into I’d say ‘public relations/pastoral care of youth and families or anyone who needs prayer, guidance & practical support! Anyway… What I really wanted to say was, all of your contributions has helped me gain a better perspective on how to approach the subject of communion with our church youth with the emphasis being; interactive, thought provoking, fun and practical application into the lives of each young person thru their journey of discovery. Bless you all for what you do for your churches and local communities and contributions to this site! !